Rob studied law at Leeds University and the College of Law, Guildford before qualifying as a solicitor in 1982. Rob's forte in complex cases was recognised early on when he trained in Exeter and practised later in shipping and insurance litigation at Lovells in the City, in between which he ran a faraway outpost of the Public Solicitors Office in the Solomon Islands as a volunteer with VSO. Rob shared a vision with his predecessor in 1989 to provide quality legal advice outside the strictures of city and town for the benefit of clients. On the litigation front, this has enabled many people to tackle the toughest opponents and succeed. In work not involving the court, Rob deploys his renowned attention to detail in advising business clients on transactions, contracts, shareholder agreements and intellectual property, while retaining a grip on the commercial big picture. Vanessa graduated from the University of Cape Town in South Africa. Following her arrival in the UK and whilst qualifying as a solicitor in England she spent two years as a management consultant with the West Midlands Forensic Department. Vanessa joined M & S Solicitors' commercial litigation team in 2000. She has acted in substantial high value litigation and developed an expertise in professional negligence claims. In 2007 Vanessa was appointed head of our Wills and Probate team. Her extensive litigation experience has proved invaluable in managing contentious estates. Her particular expertise is in the administration of high value net worth estates, including involving agricultural property. Vanessa is praised for her pragmatic and proactive approach and for giving clients a real sense of being looked after and treated as a number one priority. Philip joined M & S Solicitors in July 2001 having qualified as a solicitor that same year, after studying law at Nottingham Trent University. 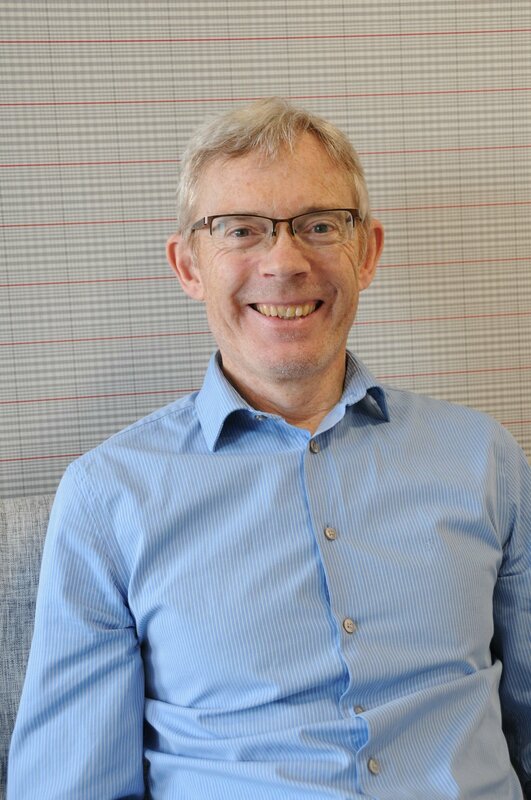 Philip has a broad commercial and litigation practice, and specialises in landlord and tenant law, dealing with disputes about dilapidations and other breaches of lease, professional negligence claims against solicitors, accountants and surveyors as well as contract disputes. Philip also handles planning matters, dealing with both applications for development and planning enforcement appeals. Philip is an experienced litigator, and has been involved in a number of complex and reported judgments in the High Courts, the Court of Appeal and the Supreme Court, and is a member of Property Litigation Association. After training at King's College London he spent some time working overseas and then returned to his roots in the Midlands. Andrew spent many years as a partner in large, city law firms. He joined M & S Solicitors in November 2012 as a Consultant Solicitor. Andrew works for business of all sizes from many sectors and many trade internationally. Andrew is a Higher Courts Advocate (giving him the same rights of as a barrister in court), a founding director of the East Midlands International Trade Association, a specialist adviser to the Royal Institute of British Architects, the Manufacturing Advisory Service and British Allied Trades Association. He is the former chief executive of the largest European network of independent lawyers and accountants. Andrew specialises in disputes, drafting agreements and training. Stella read Law at the University of Nottingham and the College of Law, Guildford. She completed her training at Baileys Shaw & Gillett in London, qualifying as a solicitor in 1992. Lured back to her native Midlands, Stella has been a partner at two significant local firms. As head of a large criminal law department, she honed her advocacy skills in the Crown and Magistrates' Courts. Since 2002, Stella has specialised in employment law. She advises employers and employees and is one of those rare creatures – a solicitor who will carry a case all the way through to representation at tribunal. She also represents professionals in proceedings before their regulatory bodies. Stella's clients appreciate her realistic and commercial approach to employment advice. Kevin studied law at Birmingham University and qualified as a solicitor in 1985. After gaining invaluable experience in Midland's city commercial practices Kevin joined M & S Solicitors in 1993 and is now a director and heads the Property and Private Client team. Kevin is an experienced property, employment and matrimonial lawyer and specialises in commercial and agricultural freehold and leasehold property transactions, including the disposal of sites for residential and commercial development, employment aspects of commercial transactions and the financial aspects of relationship breakdowns. Kevin's extensive experience and eye for detail has resulted in him acting successfully for a broad range of private and commercial clients. Emma qualified as a solicitor in May 2018. She graduated from Nottingham Trent University in 2012, completed her LPC at De Montfort University, Leicester, and began her training contract with M & S Solicitors in September 2016. Emma joined M & S Solicitors in June 2015 as part of a team of paralegals to work on a substantial e-disclosure and inspection exercise in a high value s.90 Financial Services matter in the Commercial Court. When that exercise finished, Emma was invited to remain at the firm and followed the case through to settlement and was specifically commended by both senior and junior counsel for her work. Emma has a keen interest in litigation and commercial law and is excited to be involved with M&S Solicitors at the beginning of her legal career allowing her to be involved in the varied and complex work the firm deals with.